Invented by Don Sleishman in 1980 as a further extension of his free floating philosophy. 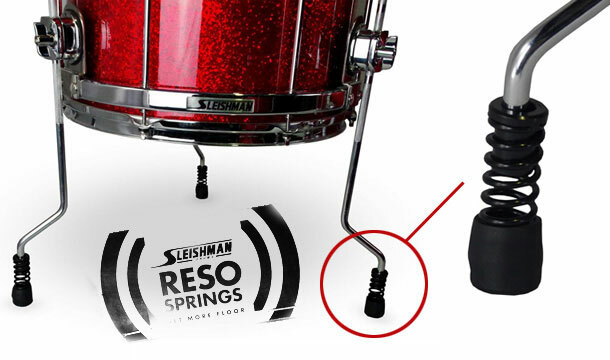 These clever steel spring feet come as standard on all Sleishman floor toms. This suspended state allows the drum to resonate at an improved level, as it is no longer sitting rigid on the floor. Check out Sleishman Reso Srings through our online store!